The Finnish company Fun Academy is strengthening its operations in China. The company took the first step to extend its expertise within the region during the visit of Finnish Minister of Education Sanni Grahn-Laasonen. Fun Academy’s Co-Founder and CEO, Sanna Lukander and Co-Founder Peter Vesterbacka are participating in the Ministers delegation program in Beijing. 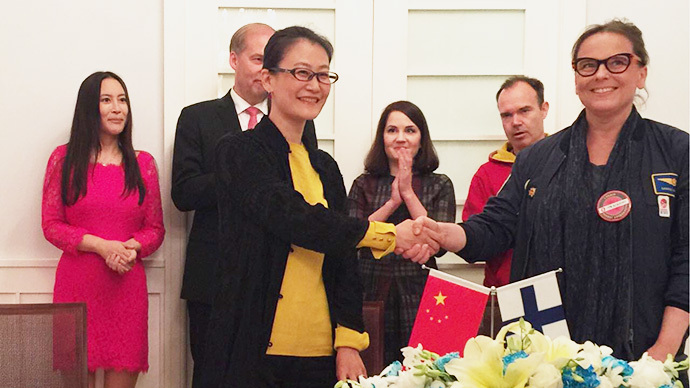 Purpose of this visit is to reinforce the educational and commercial ties between China and Finland. Fun Academy is establishing its China operations through a Joint Venture company. This allows a broader offering of their Fun Learning approach. Fun Learning approach is rooted in the best practices of the Early Education System of Finland. Fun Academy will expand its innovative early year’s education concept for kindergartens in the region. Furthermore, the company will also explore the most advanced teaching methods with local experts. Fun Academy aims to bring the best of the Finnish education approach through Fun Learning. The key focus is on continuous professional development and facilitating collaboration among educational professionals. The Fun Learning approach combines Finnish expertise in education with best practices around the world. Most importantly, it facilitates exploration of life skills in action. We aim to give the best start in life to every child. Everywhere.